Lazron’s 2014 October Horrorthon ! Well, it’s that time of year again. Some might say the BEST time of year ! Unless they hated horror films, in which case, it’s probably the worst time of year. 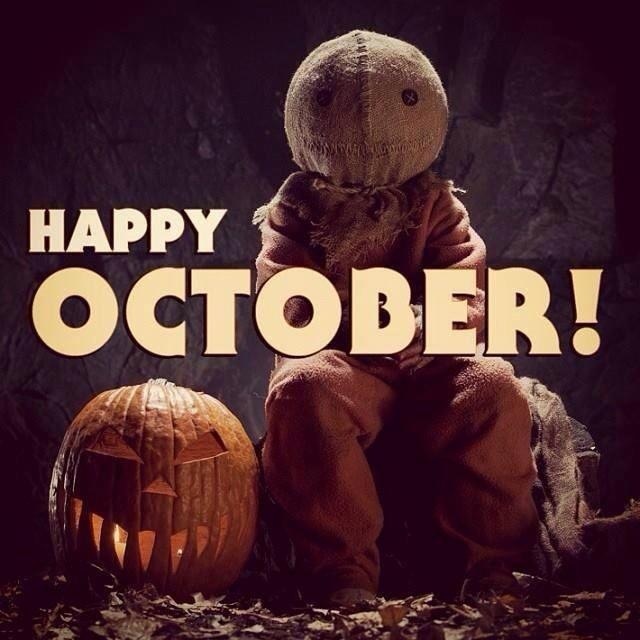 Nuts to those people though, it’s time for 31 straight day of horror flicks !! I’m pretty excited about this year (although I say that every year I suppose). The vast majority of these choices are acclaimed, either critically or from other horror fans. There are a few I’ve been meaning to get to for years, some even had been picked for previous Horrorthons (Sorry Rec 2+3). This is my first post-marriage Horrorthon, so do pity my lovely wife for the madness she’s about to be privy to. For her, November 1st must feel like a lifetime away. Luckily we have two floors here, everybody wins ! Anyway, without further ado, I present to you, the 2014 October Horrorthon ! This entry was posted in Uncategorized and tagged Awesome, best, canada, classic, cult, death, DVD, foreign, fun, gem, gold, gore, Halloween, holiday, Horror, marathon, Movie, mystery, new, old, rec, slasher, suspense, thriller, vhs, video by lazron. Bookmark the permalink.